This is as chill as it gets: Freddy’s Ice House. That’s where we spent our afternoon in Auckland. 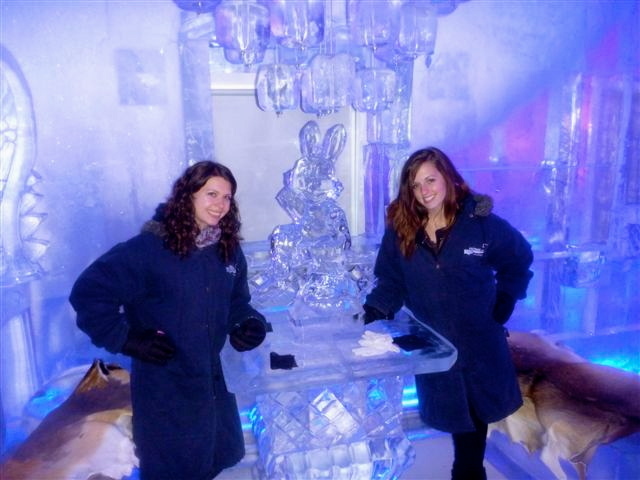 Here’s how it goes down: you are given an oversized winter coat and gloves and led into the ice bar. 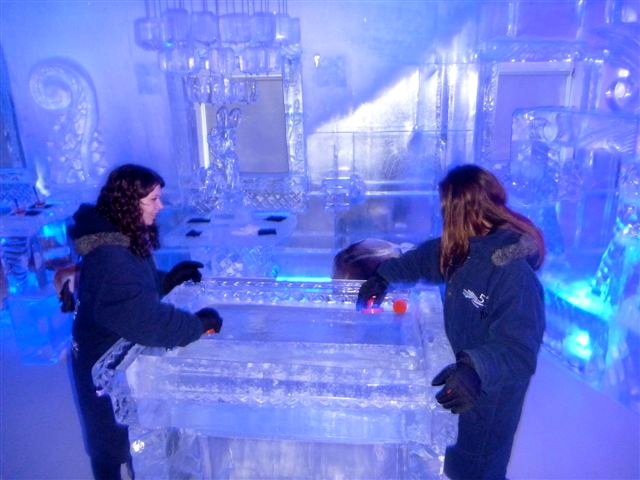 The bar consists of ice sculptures, including an ice moose to take shots of Jagger out of! Literally everything is made of ice (minus the floor…otherwise they’d have to supply you with iceskates.) You can enjoy a drink (in a glass made of ice) from the fully stocked bar, dance to the techno beats, or play ice hockey if your heart desires. The average person can probably spend 20-30 minutes max in the bar, but surviving Chicago winters have prepared us for this very day. During our time inside the icehouse, our awesome Kiwi bartender Kaine mixed us up some passionfruit drinks and answered all of our questions about the establishment (how it is maintained, how you’re trained to work there, etc.) Once you finish your drink, you can slide your glass across the bar to smash it at the end. We also had a mini photo shoot (see below) and enjoyed the -6.6 degree weather. Ultimately, if you want to a pretty cool experience (no pun intended), Freddy’s Ice House is where it’s at! 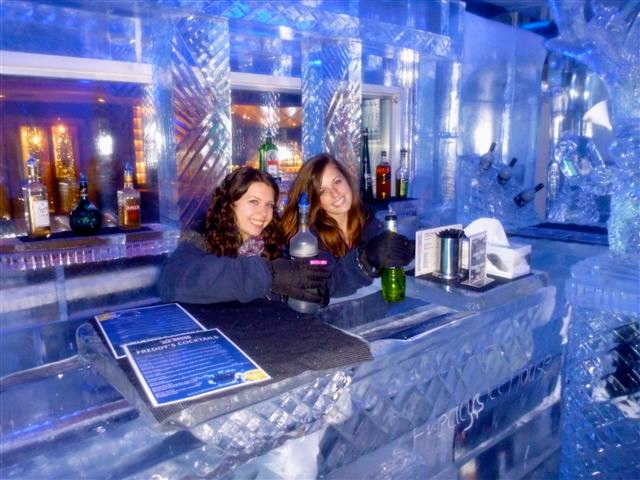 Posted on June 23, 2011, in Destinations, New Zealand and tagged auckland, backpacking, Coley Nelson, freddy's ice house, Kim Pitingolo, minus 5 ice bar, new zealand, Travel. Bookmark the permalink. 3 Comments. this is going to be one of those blogs where I pretend to be as cool as the people who write it, isn’t it? This place looks really cool…so why are you the only two people there? Haha, there was a few other people in there, you just can’t see them in the pictures. It was also $5 cheaper if we went before 6 PM so of course we opted to go earlier.